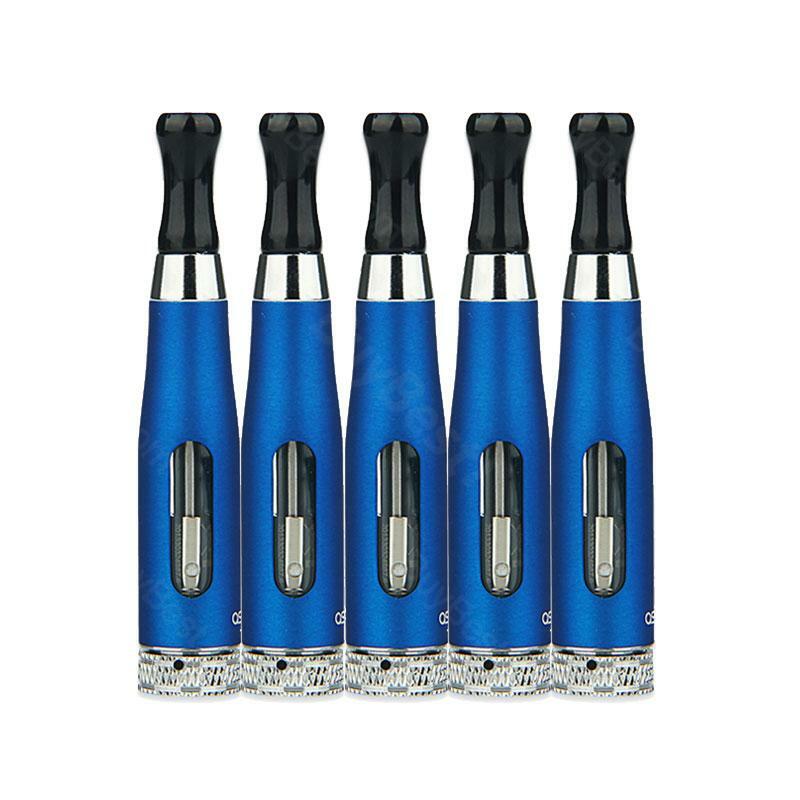 5pcs Aspire CE5-S BVC Clearomizer is an upgrade version of CE5. There are two small windows. It comes with high quality, and new innovative BVC coil. 5pcs Aspire CE5-S BVC Clearomizer is an upgrade version of CE5. There are two small windows. It comes with high quality, and new innovative BVC coil. Enjoy pure taste! The Aspire CE5-S BVC artomizer includes 4 parts: mouthpiece, upper unit and tube, coil unit and bottom base connector. Turn upside down the cartomizer, then screw off the connector. Use the syringer or dropper to fill less than 1.8ml e-liquid. Do not overfill it. Carefully screw on the connector, connect it with the battery and enjoy it. Please set the clearomizer upright for 3-5 minutes to fully absorb e-liquid into the coil unit. Please don't active the clearomizer without e-liquid to prevent damaging the inside structure of the coil unit. • eGo thread, it can work with all eGo threading batteries. • It is empty cartomizer. It doesn't come with e-juice. • For coils, you can buy 5pcs VapeOnly BVCC(Bottom Vertical Coil Changeable) Coil unit for BVCC Cartomizer/Clearomizer or 5pcs Aspire General BVC Coil Unit for Clearomizer. • Click download to get certificate: CE; ROHS; EMC. These are definitely the best clearomisers I have used. Much hardier than the other Aspire versions which sometimes came apart in my pocket especially in the summer months. Would recommend especially as you can also purchase replacement coils for them. Very good product and also at a very reasonable price. Loved these CE5-S BVC Tank. Price is so cheap, so I grabbed some this time. 16usd for 5pcs tank, come on man! Ordered serveral vape products, and love them very much. Aspire CE5-s, I'm old and I'm happy.